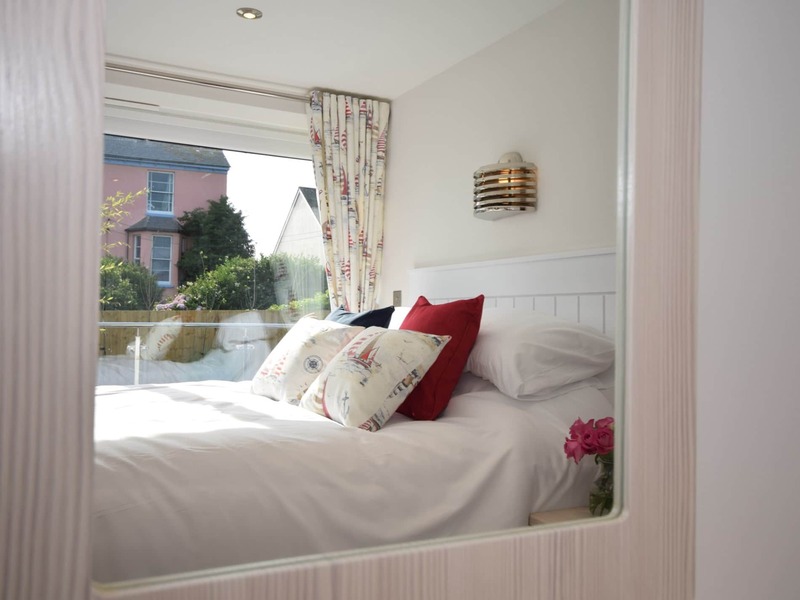 Lying within a small award winning family run caravan park in the popular seaside location of Westward Ho! 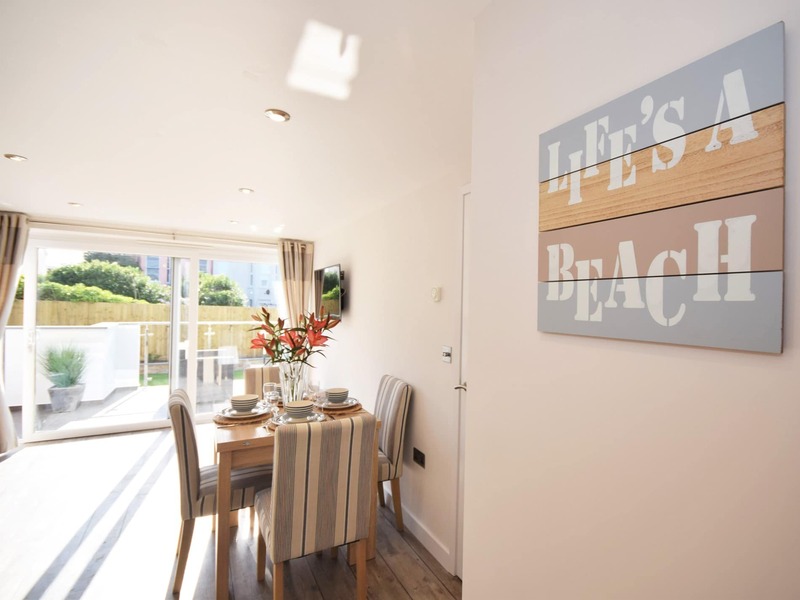 this apartment offers peace and tranquillity just steps away from the beach and local amenities. 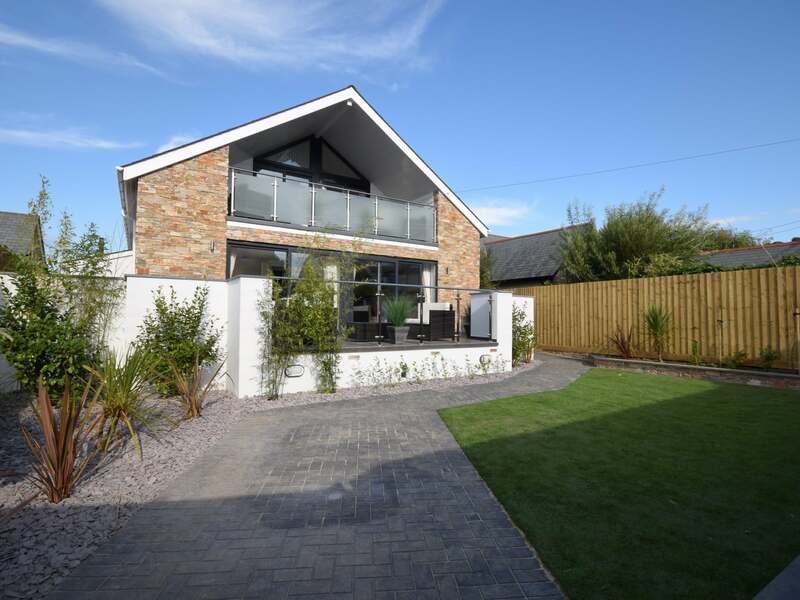 Popular with sunbathers and surfers alike Westward Ho! 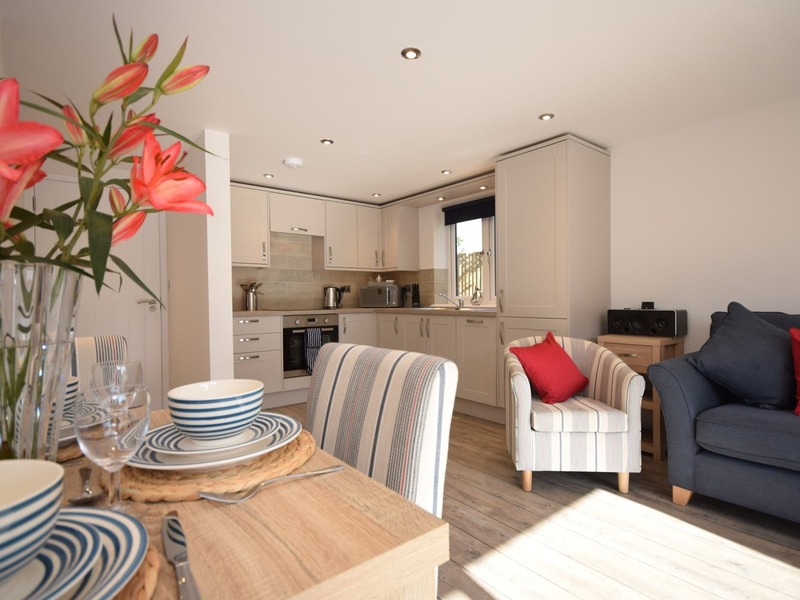 also offers attractions including tennis courts horse riding and a golf course. 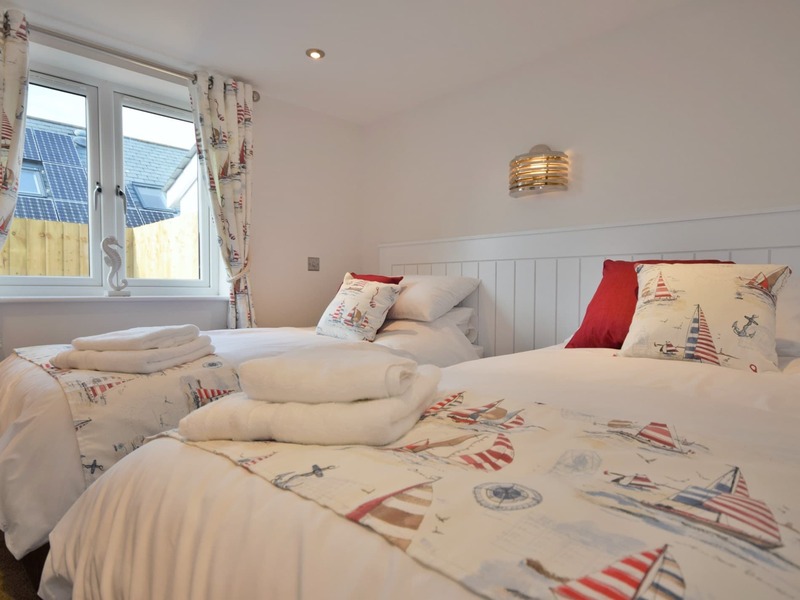 The South West Coast Path is within easy reach where you can find spectacular walks together with breathtaking scenery while the traditional fishing villages of Appledore and Clovelly boast cobbled streets sheltered harbours and fresh seafood. Other nearby attractions include Dartington Crystal The Big Sheep and The Milky Way. 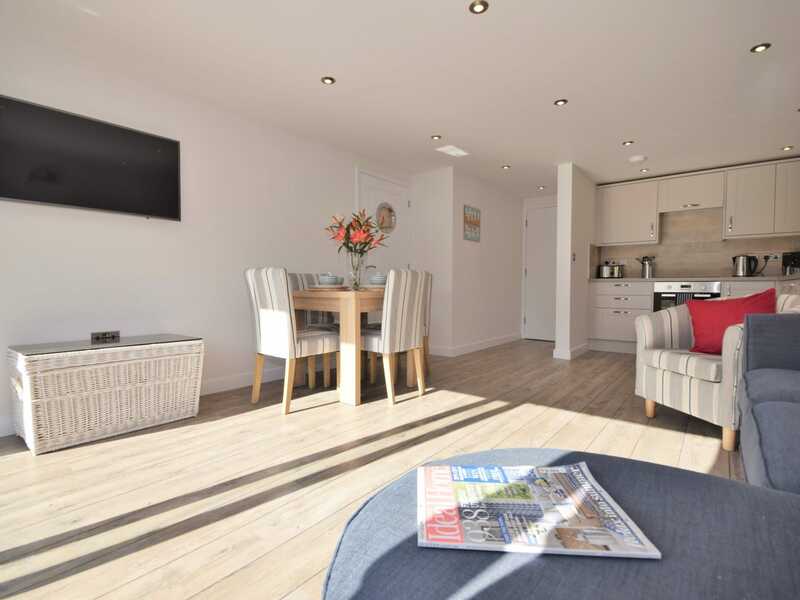 Inside this ground floor apartment is open-plan and full of natural light. 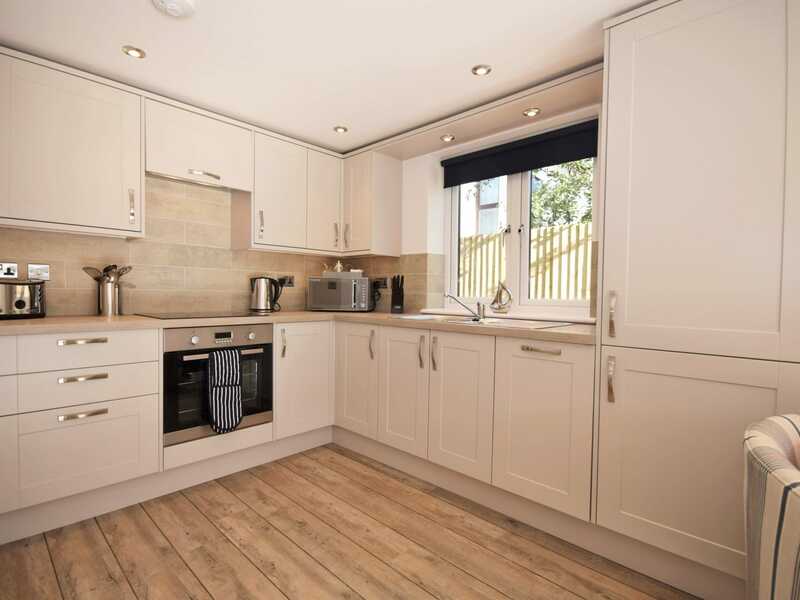 In the contemporary kitchen area you will find an electric oven and hob microwave fridge/freezer and dishwasher while a shared utility room houses a washing machine. 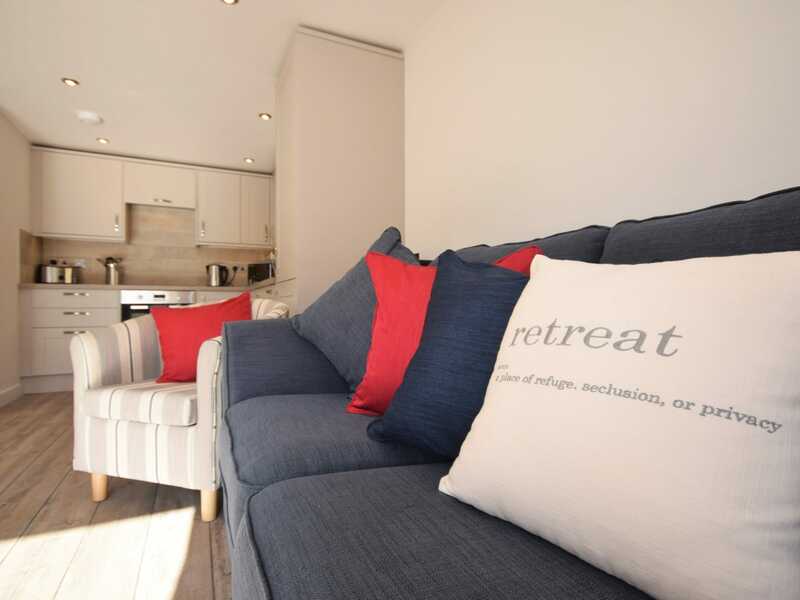 Once prepared enjoy your meals at the dining table nearby before retreating to the spacious living area. 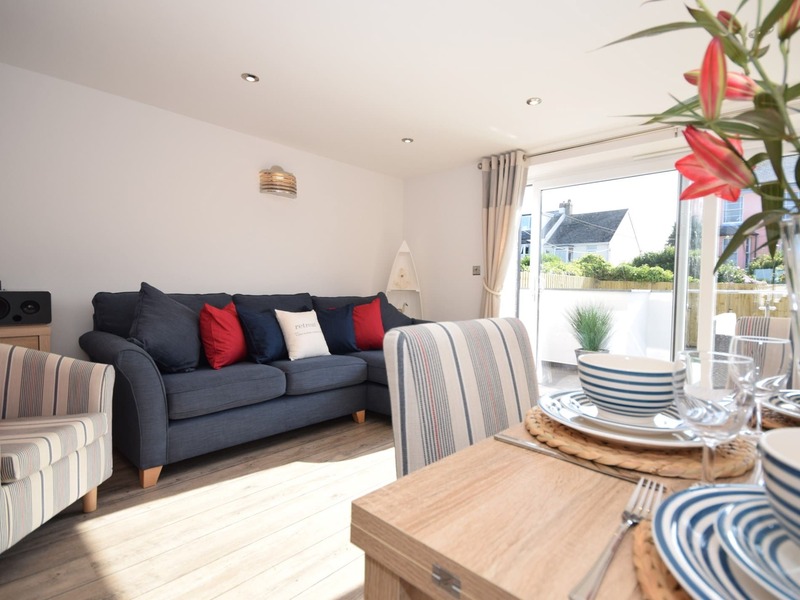 Relax on one of the comfortable sofas as the sunshine streams through the large French doors or cosy up and make use of the Smart TV Netflix and Bluetooth speakers. 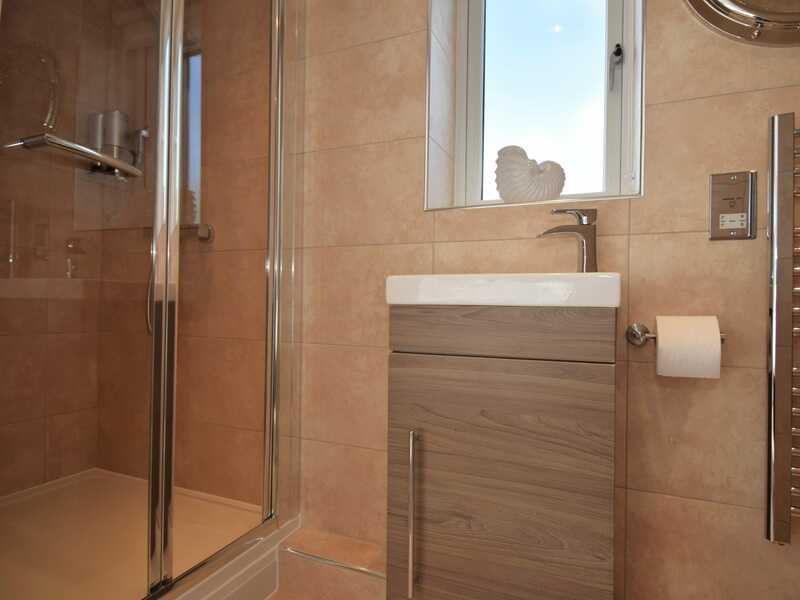 There are two bedrooms in this apartment one king-size with TV/DVD DAB radio and en-suite shower and WC and one twin with TV/DVD and DAB radio. 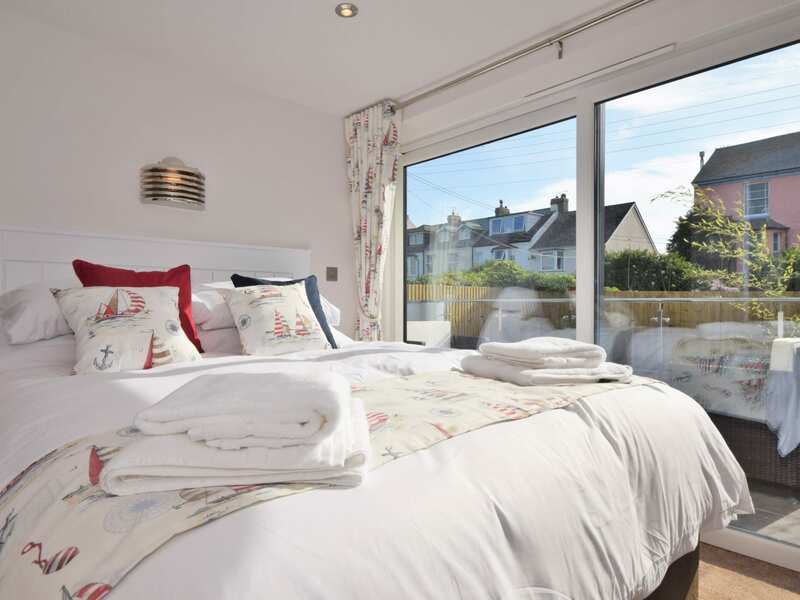 The bedrooms follow the same tasteful nautical theme that runs throughout this property and while the king-size bedroom benefits from large French windows the twin bedroom is also light and airy with a large window overlooking the garden. 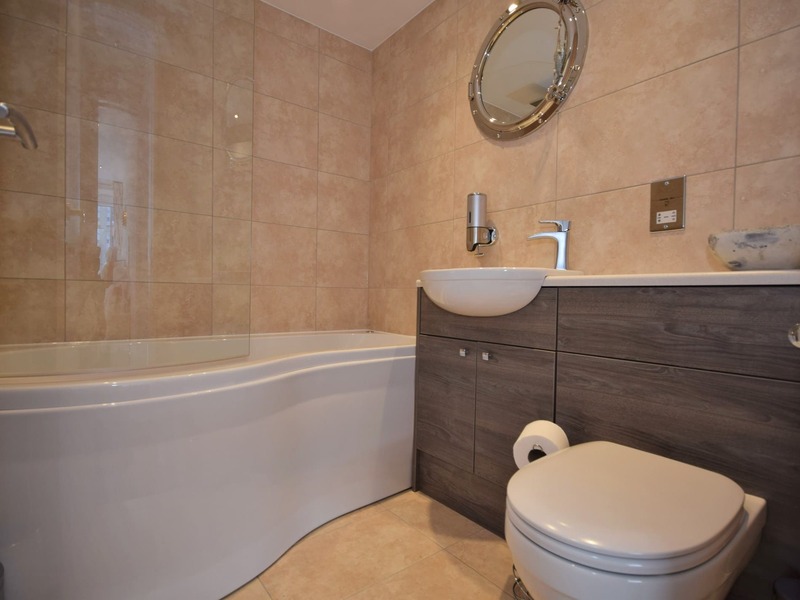 There is also a contemporary sandstone tiled bathroom with spa bath and WC. 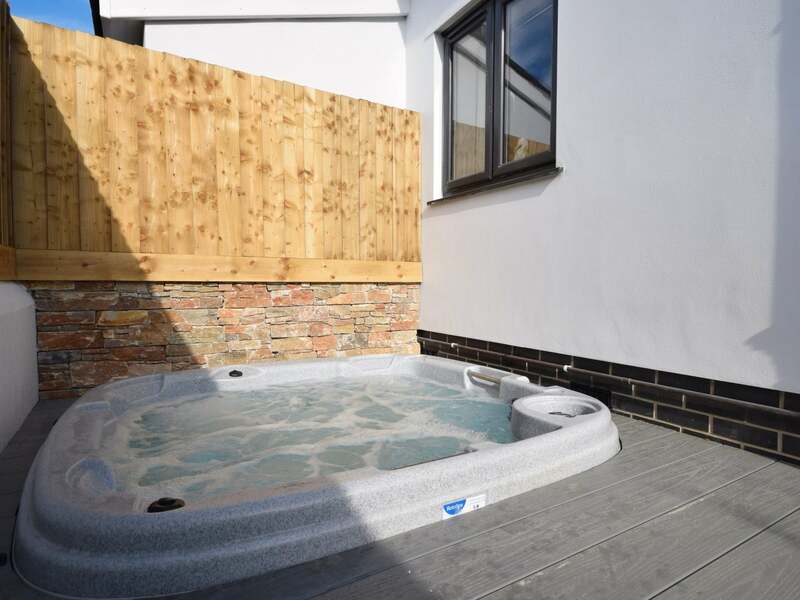 Step outside onto the decked terrace to enjoy an al fresco meal at the table and chairs or a long soak in the private hot tub as the sun goes down. 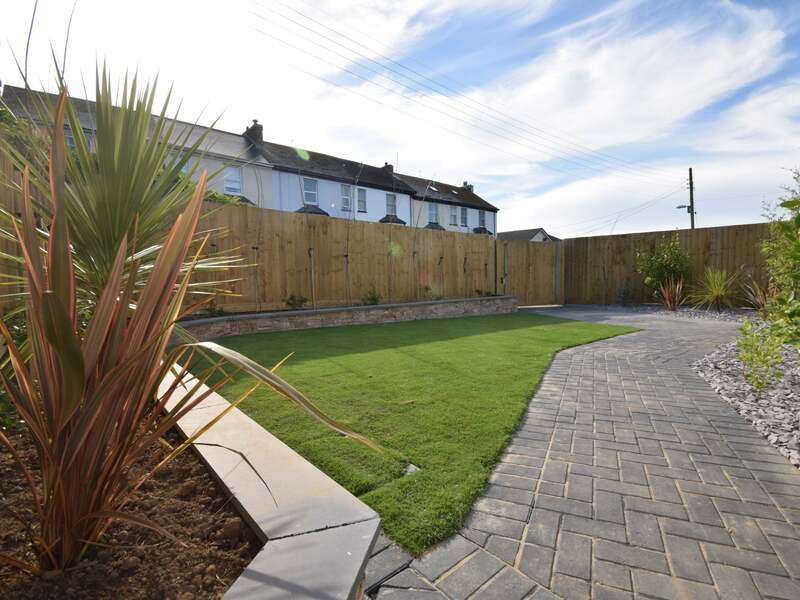 The enclosed garden beyond has been beautifully landscaped to include a path herbaceous borders and beds and a lawn area.